Theyve done something special for you. Now, youd like to do something special for them. 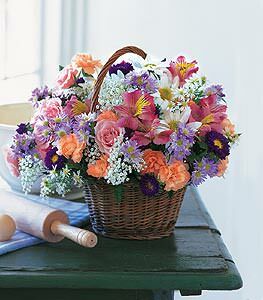 How about sending a lively basket of fresh-picked flowers? Carnations, spray roses, asters, daisies and alstroemeria are randomly mixed in a natural wicker basket.